Wu-Feng, the Lord of the Nine Hells has found where the funeral urn containing his ashes is kept. His hordes are already marching upon the small village of the Middle Kingdom hiding them''. Players are taoist priests, who will have to defend the village from the army of shadows preparing to invade it. Each of them has different special powers which will help them in this mission. 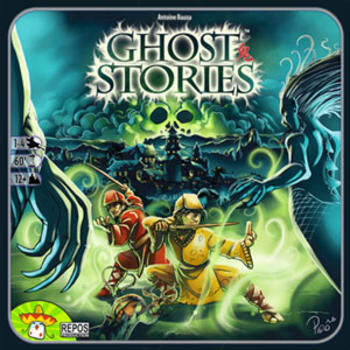 Ghost Stories is a cooperative game for 1-4 players.